Stay up to date with all of our upcoming events at Hughes Creek. Find the season pass offer to match your needs. 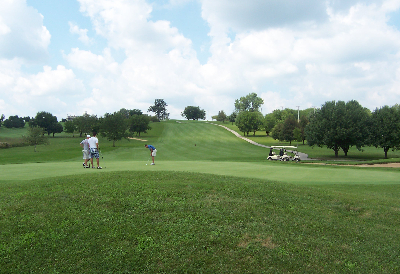 Located in Kane County, this 18-hole layout contains gentle rolling hills, wetlands, native plants, flowers and beautiful song birds with a panoramic view of the course from the clubhouse. Don't you dislike paying a lot for golf only to find yourself crammed in between loud roads? Not here at Hughes Creek...Just nothing but nature and serenity!! Close your eyes and enjoy songs of the Redwing Black bird, American Goldfinches, and Northern Cardinals! Voted by YOU as one of the BEST GOLF COURSE VIEWS FROM THE 19TH HOLE, BEST VALUE and BEST HOT DOGS!! Come see for yourself!! Excellent playing conditions, manicured greens (bent grass) and fantastic home-cooked items await our guests. Come discover this "hidden gem" in the Chicago area.